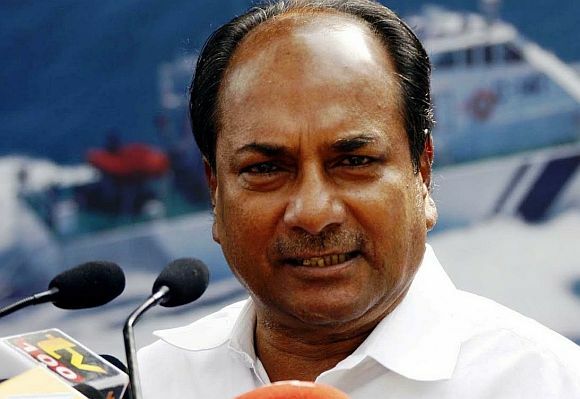 Rediff.com » News » Antony MISLED Parliament on India's next-gen battle tank! Antony MISLED Parliament on India's next-gen battle tank! 's Future Main Battle Tank, the backbone of the army's strike power into the mid-21st century, languishes while the army continues an extended debate over its specifications. 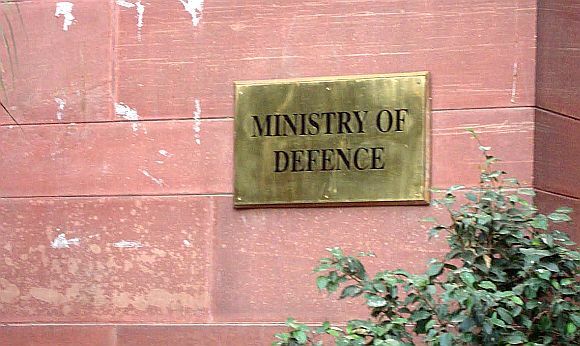 A year ago, on Dec 6, 2010, Defence Minister A K Antony told the Lok Sabha that the army had formulated the FMBT's specifications and the Defence R&D Organisation (DRDO) was carrying out feasibility studies. Antony, it now emerges, misled parliament. 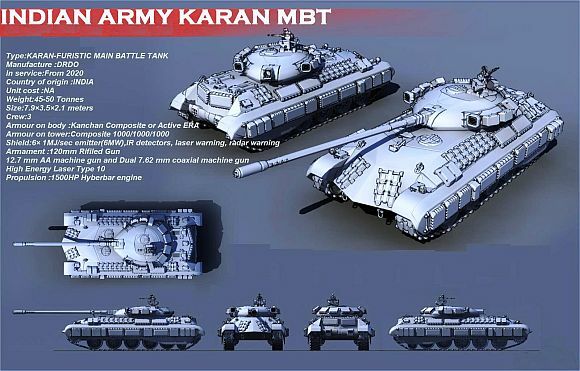 MoD sources say the army remains undecided about the basic features of the FMBT, including whether it should have three crew members or four. Consequently the army has not finalised the FMBT's Preliminary Staff Qualitative Requirements (PSQR), essential for sanctioning the project and allocating funding. The PSQR also allows engineers to begin designing the FMBT. 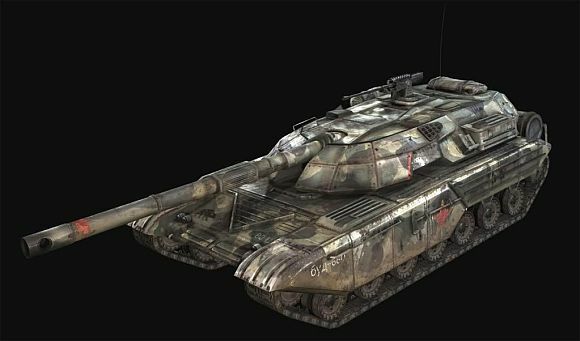 It specifies the tank's capabilities and components, including its weight; dimensions; mobility; weaponry; armour protection; communications; and any special capabilities that are required, e.g. the ability to drive underwater; or operate on a nuclear battlefield. But the DRDO has begun work, anxious to shield the FMBT from the delays that plagued the Arjun programme. The FMBT must roll out by 2020, when the army's oldest T-72 tanks, which entered service in 1979, complete their 32-year service lives. 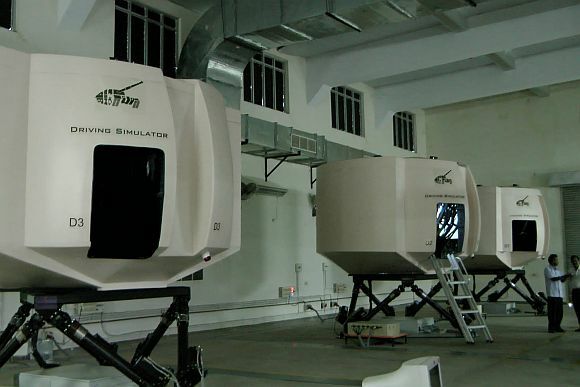 Business Standard was granted exclusive permission to visit the Combat Vehicles R&D Establishment (CVRDE), the DRDO facility outside Chennai where the Arjun Mark II is nearing completion; and the FMBT will be developed. Dr P Sivakumar, CVRDE's livewire director, revealed that work has begun on crucial FMBT systems, even without a PSQR. Based on the army's weight limit of 50 tonnes for the FMBT, the DRDO has launched a "mission mode" project to develop an 1800 Horse Power indigenous engine. Sivakumar says that 1500 HP is sufficient for a 50-tonne tank, but the endemic danger of weight over-runs in a new tank makes a 300 HP margin prudent. The project will co-opt domestic engineering companies like Kirloskar Oil Engines, Bharat Earth Movers Ltd (BEML), and the Mahindras; research institutions like IITs; and bodies like the Automotive Research Association of India (ARIA), Pune. An Indian "prime contractor" would assemble the FMBT engines from engine components supplied by a network of sub-contractors. "India has never designed engines; engine technology has always been imported. But we will develop the FMBT engine as a national project. Our approach is not engine-specific; we are looking at developing the complete range of technologies needed for building engines. Not only design... but also manufacturing, testing, evaluation," says Sivakumar. This ambitious plan is cushioned with pragmatism. The DRDO has brought in international consultants to design the engine and build Indian manufacturing capability in engine-related fields. Sivakumar says that German companies MTU and Renk, which supply engines and transmissions for the Arjun tank, refused to provide consultancy, realising that building Indian capability would end their market here. DRDO is now evaluating consultancy proposals from Ricardo of Britain and AVL of Austria. "Simultaneously, we have floated an Expression of Interest (EoI) to identify an Indian manufacturing partner. The consultant we select will work in a consortium with the DRDO; the army; and the Indian manufacturing partner, who will be associated with the programme from the design stage itself. We have allowed the consultants to visit manufacturing companies and report on their capability to build a modern engine," explains Sivakumar. The CVRDE director says that the consultants will finalise the engine design within 12 months, and take 18 months more to build the first prototype. "Within 30 months, or three years maximum, the first engine would be ready for testing," he says. "Both Ricardo and AVL have proposed that they design and build the first prototypes. But the Indian industry will work alongside the consultant. The first design is never perfect; so the consultant will make the changes needed in design, tolerances, or materials to refine the engine. Then, in the second phase, the Indian partner will produce the engine," says Sivakumar. Even as CVRDE develops this technological capacity, it is looking further ahead at a hybrid engine for the FMBT after 2030. Sivakumar says that a tank remains static for at least 40% of the time in battle, during which time its engine idles. "This means that 40% of the time, you wastefully run a 1500 HP engine, guzzling diesel and giving away the tank's position, while you need very little power for running electricals like the radios and gun control equipment or for moving the tank slowly. So we are evolving a hybrid technology concept in which the tank will have two engines: a 500 HP engine for low power mode and another 1000 HP engine that kicks in when high power is required, e.g. for manoeuvring in battle," explains the CVRDE director. India wants Dr Singh to go!